A soirée is defined as “an evening party or gathering, typically in a private home, for conversation or music.” It comes from the French word, soir, meaning evening. George Sand, noted novelist and playwright of the mid-1800s, famously hosted many of these in her salon outside of Paris. 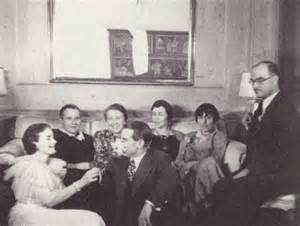 These gatherings offered a place for many renowned artists of the day to meet and hang out. George Sand, herself, often performed her plays there. Chopin would play new music he was composing. Talented artists of all genres would share their passions and their works together, stimulating the artistic sensibilities in each other. If you were an accomplished or aspiring artist, you did everything in your power to be there! So . . . What About a SHIATSU SOIRÉE? I would love to revive this atmosphere for shiatsu practitioners and students. After all, we are also artists of a sort – the healing arts sort. We have experiences, insights and questions that we want to share and discuss. But the opportunity to do so does not easily find the right set of circumstances in the treatment room, classroom, or in everyday conversation. So . . . let’s have a soirée! Although my home is by no means a large salon with a stage and piano, my dining table sits eight, and the living room several more. 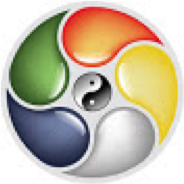 I am eager to hear what doing shiatsu has stirred up for you in your practice and in your heart and soul. And I’m happy to answer questions and tell stories about Masunaga and Kishi, about what I learned from them, and am still learning. I also love the idea of having a healing circle at the end of each soirée. The purpose could vary from time to time. One evening it might be for healing each other. Another might be for sending healing to a group (like the residents of Puerto Rico after the devastation of their island). Or, it could be for a larger purpose, like our Mother Earth. I will gladly contribute what I know about healings of this nature, and volunteer to lead the circle. Everyone who took part in previous soirées remarked that, when we come together, something beautiful happens. Something encouraging. Nurturing. And sustaining. Something we offer each other that we can take home and cherish. I hope they inspire you, too. I would love to see you at the next Shiatsu Soirée! Anatomy can actually be very helpful in locating meridians. Do you sometimes wish you knew for sure if you are really on the meridians? Do you wish you felt secure enough in your hand’s sensitivity to trust that you found the point? Do you wish there was another way to learn meridian and point locations besides memorizing anatomical landmarks? While memorizing may not be much fun for some people (I am among them), anatomy, on the other hand, is really cool. 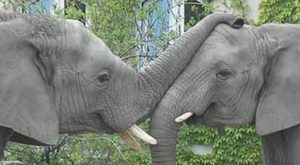 After all, it is what gives the defining shape to every species on our planet – and the defining shape of every individual within their species. Pretty awesome! That said, I do not love memorizing. I love knowing, but memorizing can sometimes get in the way of knowing. What I really crave is understanding. If I am considering the movement of a foot, I want to know that it can swing from side to side. I want to know it can point up and down. If I am doing a shiatsu treatment on the foot, it is important to understand that that movement comes from the ankle. I should also understand how the ankle works and what its purpose is. The same is true of the meridians. I may have received a meridian diagnosis of Large Intestine. I may, therefore, be considering the elimination function or the emotional process of grieving. It is important to understand the purpose of the Large Intestine meridian if I want to treat it. And, I need to know exactly where it is in order to address it. Meridian location is important. But I don’t particularly have to remember that the movements I will use are called dorsiflexion and eversion [though it will probably impress my client if I do :-)]. I can do an effective treatment, regardless. I DO have to find the foot, the ankle and the LI meridian, at the very least. One of the things I found most disconcerting about learning meridian locations was that the texts did not always agree with what my Japanese teachers had shown me. Fortunately for me, I never doubted my teachers. I never thought I had to change my thinking about where the meridian “really” was. 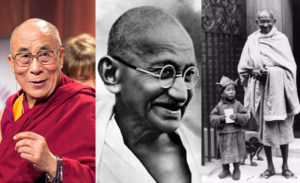 My faith in them allowed me to continue working “true” to the teachings. I remained open to figuring out why the texts disagreed. It was not until I taught in acupuncture colleges that I discovered why. What I found out was that the anatomical descriptions given in acupuncture texts for locating points did not include the angle of needle insertion. Angle of insertion is taught in the classroom. It is more of a “lab” course – and it makes a huge difference. If I started from a slightly different place with a different angle, I would end up in the same place as the needle did – the right place, the place where the energy gets stimulated. But what’s more important is that I feel the meridian. That I know it. And the more I feel and know it, the better I understand it. And that’s what I like to pass along to students. I want to help them feel it. I want them to have confidence that they are in a meridian because they recognize the feel of it. That offers the opportunity to be aware of when they lose that feeling. It’s just like walking on a trail in the forest reserve. You’ve got your map, and you could swear you were following it. But you know you must have missed something because you sense that the sun would be in a different place if you were walking in the right direction. That understanding allows you to re-orient and right your course. From my point of view, I presume the texts may be right for points and needles, but not necessarily for meridians and hands. Not to mention that exact anatomical descriptions for point locations differ slightly from textbook to textbook. Or that one person’s meridian may vary slightly in location from another’s. If that should happen, don’t feel confused. It ‘s no more bothersome than one person’s forehead being higher or lower than another’s. It’s still in the right place so you can still locate it. If you try to touch the forehead and you get eyes, you know you just have to move up a little . . . because you felt it! That’s what I like to teach – what it feels like. If it doesn’t feel like it’s supposed to, you just change your angle or move your finger a little, and you’re back on it. 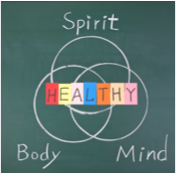 What you feel is what makes the difference in a shiatsu treatment. It’s how you get a good effect and longer lasting results for your clients. 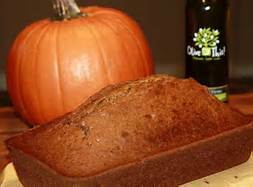 DOWN EAST MAINE PUMPKIN BREAD SO-O-O DELICIOUS! I must admit that I take some liberties with this pumpkin bread recipe from Down East Maine. I like to play around and substitute some of the ingredients. For instance, I’ll use applesauce or orange juice or brown sugar in places. And I’ll add nuts sometimes. Also, I usually have to bake it longer than the directions indicate. It has always come out delicious. Hope you have fun adding your own touches! 1. Preheat oven to 350 degrees F (175 degrees C). Grease and flour three 7×3, or two 9×5 inch loaf pans. No one is immune to the misery of a bad cold or flu, once caught. So the best defense is prevention. 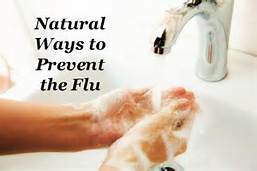 Everything about cold and flu prevention is quite simple. That doesn’t mean it’s easy to do, because it takes vigilance. You have to stay on it.We tend to run on automatic pilot for most of our day and are often unconscious of the little things we do that invite those pesky germs to set up shop. What follows is something I found online at lifescript.com that may help you stay healthy this season. In my opinion, #9-Sound Sleep is way too far down on the list. Sleep is so much more important than our culture realizes. To my mind, you can’t value it highly enough. It is THE thing that restores our energy. Also, stay hydrated (#4). It makes a big difference. And there are two tips they left out that are very important. I added them at the bottom. Keep your hands off any possible germ-infested surface (which accounts for just about everything), and off your face. 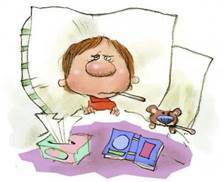 Direct contact with a sick person, such as touching or kissing, is the #1 way germs are transmitted. 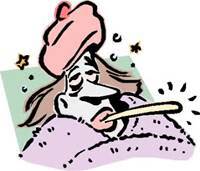 Eighty percent of colds are spread by direct contact. Indirect contact, such as handling a doorknob that a sick person has touched (unbeknownst to you), and then spreading it to your face by touching your mouth, nose or eyes, is another common way germs travel from person to person. It’s impossible to stop touching everything, but you should be mindful of where your hands have been. Wash your hands regularly and don’t touch your own mucous membranes (eyes, nose, mouth) after handling people or objects. Proper hand-washing is especially important during the cold and flu season. But according to a 2007 study by the American Society for Microbiology and The Soap and Detergent Association, only 77% of men and women wash their hands in public bathrooms. The U.S. Centers for Disease Control and Prevention (CDC) says that hand-washing is the single most important prevention step for reducing disease transmission. Any time you use the bathroom, wash your hands with warm, soapy water for at least 15 seconds (the time it takes to sing the ABCs). After washing, don’t touch the faucet, paper towel dispenser knob or door handle on the way out. Use your forearms or elbows to turn off the faucet and to dispense paper. Carry your used paper towel to the bathroom exit and use it to open the door, throwing the towel into the garbage afterward. You’ve heard it once, you’ll hear it twice: Stress not only negatively affects your mental health, but it affects your physical health, too. Stress raises cortisol levels, which weakens the immune system. And to compound that stress, people tend to make poor choices when it comes to eating, exercising and sleeping when they feel strained, further weakening the immune system. Add that to the fact that two stressful holidays – Thanksgiving and Christmas – fall during the cold and flu season, and it’s no wonder you get sick. Stress is an inevitable fact of life, but you can counteract it by finding a balance and learning to unwind. Whether it’s exercising, journaling, repeating positive affirmations, or hanging out with family and friends, whatever helps you de-stress, do it often. Incorporate some peace and relaxation into every day. Drink up! Downing eight 8-ounce glasses of water should be part of your regular routine every day, but especially during cold and flu season. Water is used by every cell in your body and is essential for flushing out toxins and germs. If water isn’t your beverage of choice, find ways to make it more appealing and flavorful. Have fresh-cut lemon or lime wedges on hand, or purchase flavored or sparkling water at the grocery store. Always have a reusable container of water with you, too. Hot tea is also a good way to take in more water. Not only is it soothing in the cold winter months, but hot tea (especially peppermint flavors) can help clear nasal congestion and open your airways. Now isn’t the time to indulge in the heavier, hearty meals we gravitate to during fall and winter. Your food choices impact your immune system, and nutrient-rich foods will keep it healthy and happy. A healthy immune system is your best defense against pathogens such as viruses, bacteria and carcinogens that make you ill. Immune cells are found throughout your body – in your tonsils, lymph nodes, spleen, thymus gland, and bone marrow. By focusing on nutrient-rich foods instead of high-calorie, sugary or fatty foods such as cookies, fried chicken, or donuts, you can help ward off illness. Some of the best antioxidants for keeping you healthy are vitamin A, C and E.
Vitamin A is a disease-fighting antioxidant and immune-system booster. It helps prevent and fight infections by regulating the immune system that makes white blood cells that destroy harmful bacteria and viruses. Vitamin A may help lymphocytes (a type of white blood cell that fights infections) function more effectively. The recommended dietary allowance (RDA) for vitamin A is 4,000 IU daily for women and 5,000 IU daily for men. Preformed vitamin A is found in animal foods such as eggs, whole milk and liver, and in fortified foods such as breakfast cereals. Provitamin A carotenoids, like beta-carotene, are abundant in dark-colored fruits and vegetables such as carrots, leafy greens, cantaloupe, broccoli, squash, sweet potatoes, and peas. Your immune system relies heavily on this vitamin for proper functioning. Studies have shown that vitamin C helps shorten the duration and intensity of colds, as well as help fight respiratory infections. The RDA for vitamin C is 60 mg a day for both men and women. Many experts believe that taking up to 200 mg a day is most beneficial. Vitamin C is found in citrus fruits and juices, broccoli, dark greens, kiwi, red peppers, and strawberries. While not as well-known an immune booster as vitamin C, Vitamin E promotes the production of B-cells that produce antibodies and destroy harmful bacteria. The RDA for women is 8 mg or 12 IU per day, and 10mg or 15 IU daily for men. Higher doses, in the 400-800 IU per day range, are used for full antioxidant effects. Taking vitamin C along with vitamin E may enhance its antioxidant power. One of the most important and popular minerals in beating the cold and flu season is zinc. This mineral is required for the production and activation of T-cells, a type of white blood cell that is involved in battling infections. Without these T-cells, the immune system can become overwhelmed with bacteria or viruses that it cannot fight off. Zinc empowers the immune system to wipe out infections and can help shorten a cold’s duration by destroying the virus that is at the back of the throat. Most effective is sucking on sugar-free zinc lozenges every two hours from the very start of the cold. The RDA for zinc is 12 mg for women and 15 mg for men. Protein-rich foods are high in zinc. These include red meat, poultry, seafood, eggs, dairy products, beans, nuts, whole grains, and fortified breakfast cereals. Almonds are also a terrific vegetarian source of zinc; just four ounces can supply half the RDA for women. 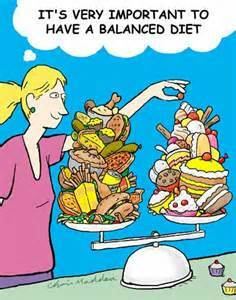 However, don’t overload on too much of a good thing. Excess amounts of zinc (80 mg or more per day) can actually make women more susceptible to urinary tract infections. It’s true: People who exercise regularly are less likely to get sick. In fact, studies have shown that exercising daily and maintaining a healthy body weight bolsters your immune system and helps your body fight infection. Daily exercise, whether a walk after dinner or a kickboxing class at the gym, also keeps your stress levels in check and promotes a better night’s rest. However, too much exercise can have the opposite effect. If you’re a serious athlete, don’t forget to include rest days in your fitness routine to give your body a break. Cold weather is no reason to take up residence on your sofa. Try indoor activities like lifting free weights or doing an exercise video in your living room. Where there’s a will there’s a way. The days get shorter, but it’s still difficult to get the eight hours of sleep a night that experts recommend. However, during the cold and flu season, getting enough zzzs is especially important. If you’re sleep-deprived, you’re more susceptible to getting sick. You need the strength you get from rest to help you fight off a cold or flu. Plus, a lack of sleep makes you tired, cranky and unproductive. As a result, you get stressed out, further breaking down your immune system. Develop an evening routine to help you bed down easier. Turn off all distractions like TV and the computer long before you’re ready to fall asleep. 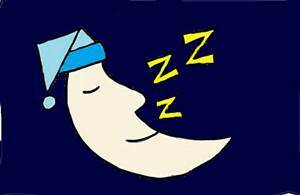 Avoid late-night exercise, caffeinated drinks and food close to bedtime. Keep your room dark and at a comfortably cool temperature. If you really want to maximize your odds of avoiding the flu, get vaccinated. The CDC reports that the U.S. has produced the most doses of the vaccine ever this year. 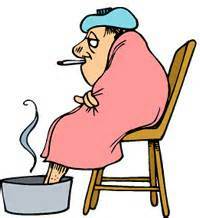 Flu season begins in October and can last through May. While experts recommend getting vaccinated in October or November, you can still do it in December or later. The flu vaccine is recommended for people at high risk of developing serious flu complications: children under 5 years old, pregnant women, people over the age of 50, and people in contact with those who are at high risk. Of course, anyone can get vaccinated. The vaccine is available as a shot or a nasal-spray. Its effectiveness depends on the age and health status of the person, as well as the similarity between the virus strains and the strains in circulation. Close the lid before you flush the toilet. You would not believe the amount of spray that goes out into the bathroom when you flush a toilet. That spray is loaded with germs. Loaded! So close the lid first, then flush. Get regular shiatsu. It boosts your immune system in a major way. That’s not a plug. It’s a legitimately researched and documented fact. Check it out. I was a little surprised at how many more people clicked on the recipes I included in my last newsletter – and how many took the time to email and let me know how much they liked them – so I decided to do one more. Enjoy! As a rule, I don’t really enjoy baking. Maybe it’s because I’m not very good at it. I rarely have an urge for bread, cake or pie, but when I do, I’ll buy it rather than bake it. 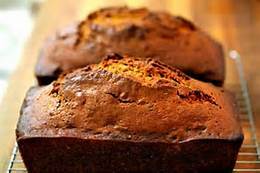 But one day I did have an urge – for pumpkin bread, in particular. I have no idea why I wanted to make it, but I found myself searching recipes on the web, and one of them sounded really good to me. I even ended up reading the comments of people who had tried it and had added this and that. I chose the measurements and ingredients that appealed to me and went to work. I was pleasantly surprised at how quickly and easily it came together. [I am notoriously slow in the kitchen, so this made a big impression]. And it turned out great. 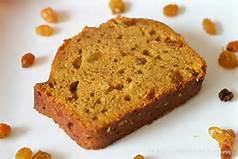 This pumpkin bread always turns out great. I’ve given it to many friends and it’s always a hit. One of the extra added treats of making pumpkin bread in your own kitchen is how good it smells. It fills the whole house and you get the pleasure of that exquisite aroma for hours afterwards. And let’s not forget your taste buds. They get their full measure of delight, as well! This was my first attempt at pumpkin bread, and I love this recipe! The combination and measurements of the spices are perfect. I have used 2 (8×4) pans, instead of the 3 (7×3), and both sizes work. You may need a little extra baking time with the larger pans. I brought the extra loaf to a neighbor, and they finished it in one day. Yeah. It’s GOOD! May you find it easy to count your blessings this year, and always. I want to say a big THANK YOU for being a blessing to me! Shiatsu is a practice based on the traditions of ancient Asian medicine. The theory behind Shiatsu is that our bodies are made up of energy, called Qi, and this energy can get blocked and cause suffering within the body and mind. Shiatsu helps to remove blockages by clearing channels and acupoints, which balances the Qi and eases the body and mind. When Qi is balanced, healing occurs. The applied pressure stimulates both the nervous and immune systems, providing relief, while also restoring the circulatory system, improving blood flow. 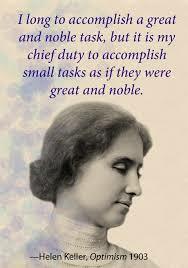 An improved awareness and connection to her intuition. Menstrual Cycle: Christina experienced better regularity and less blood clotting in the first few months of treatment. Within four months, she experienced a brighter, healthier color of blood and better flow in general, which she hadn’t experienced in years. Overall Weakness & Fatigue: Shiatsu can restore and maintain the body’s energy, helping those who suffer from overall weakness and fatigue. Muscle Pain and Rheumatoid Arthritis: Shiatsu is frequently used to alleviate the muscle and joint pain associated with arthritis. 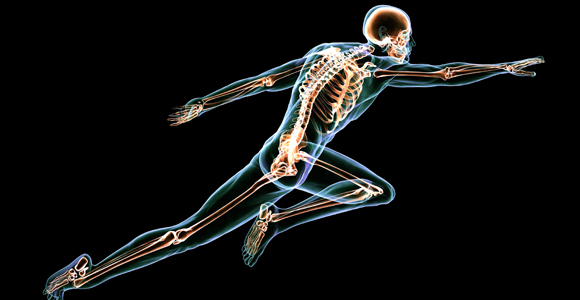 Injury Recovery: Shiatsu can aid in the recovery from sprains, fractures and other injuries. Migraine Headaches: Shiatsu helps relieve headaches and migraines by relaxing the body and increasing blood flow and circulation throughout. A Stiff Neck & Back: Shiatsu can reduce problems with the neck, shoulders and back, including sciatica. Stress: Shiatsu can do wonders for a body and mind that is stressed. It can reduce stress and tension as well as anxiety and depression. Reproductive Issues: Shiatsu can be used to aid women during their monthly cycles, especially to alleviate menstrual cramps and regulate blood flow. Pregnancy: Shiatsu has been known to help women in labor and also to help babies turn in the womb. It can also help ease morning sickness and swelling. 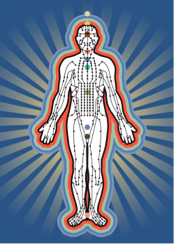 Circulatory System: Shiatsu can help to improve circulation throughout the body, improving blood flow. Digestive Disorders: By allowing food to digest more easily and aid in the elimination of waste, Shiatsu can benefit and improve your digestive system. Skin: Shiatsu can stimulate circulation in the soft tissues of the skin, helping to keep skin soft and moist. This can in turn can give the skin a glow and prevent wrinkling. Immune Support: Shiatsu can reduce the severity and frequency of coughs and colds, along with other sinus and respiratory problems. Combines with other treatments: Shiatsu works well with other treatments like acupuncture, chiropractic, physical therapy, chemotherapy, herbs and supplements. A shiatsu treatment can last anywhere from 40 minutes to an hour. It can be administered on a padded mat on the floor or on a massage table. Typically, the treatment begins with gentle stretching and pressing to relax the muscles and stimulate the flow of energy. Depending on the needs of the person receiving the massage, it can be very gentle and calming or used with high pressure. However, it should never be painful. For more information regarding Shiatsu and to receive a treatment, contact Lindy Ferrigno here. 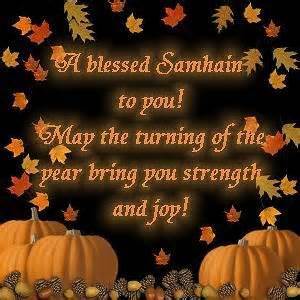 In the Old Ways that we still celebrate to this day, Samhain is the Celtic New Year. On October 31st, we once again turn the Wheel of the Year and contemplate life and death and rebirth. It is a night of wonder and magic. The past, present and future are one. On this night, we recognize that the fallen leaves are decaying. We remind ourselves that this decay feeds new life to come. We honor the generations that have come before and we shine the light of our best wishes and most beautiful dreams onto those yet to come. 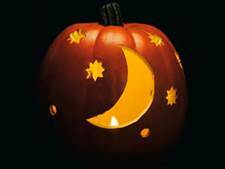 Samhain is the night when the veil between our world and the spirit world is at its thinnest. 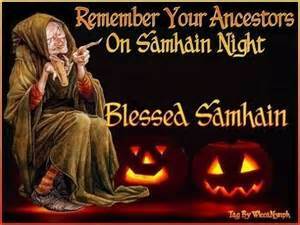 Samhain is pronounced SAH-wen or SHAV-na, and it is the night for reconnecting with our ancestors. 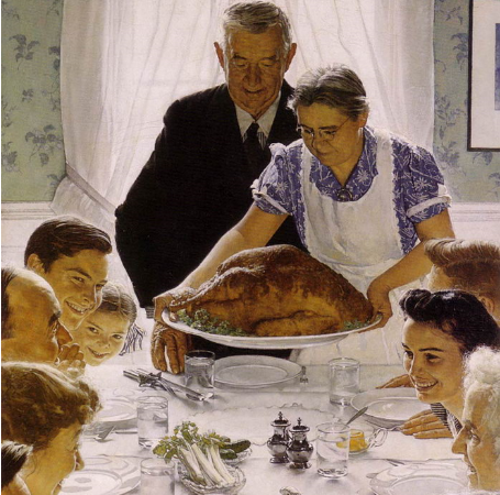 We honor them for the life and energy they passed on to us through the miracle of our DNA. If we take a Shamanic Journey, we sometimes meet them. 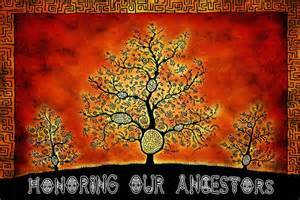 An ancestor may show up as an individual personality, or as a general archetype. In any case, we show respect by having no expectations of them and making no apologies for them. We consciously appreciate their efforts on our behalf, and know they watch over us. We can ask for their advice, protection and guidance for the upcoming year. We can converse with them to let them know what we are up to in life. We can assure them that we want them on our side. We want to receive their blessings. We can ask for their blessings for our children and grandchildren, too. This is the night when the gateway between our world and the spirit world is the thinnest. Tonight is the night to call out those who came before. Tonight I honor my ancestors. Spirits of my mothers and fathers, I call to you. I welcome you to join me for this night. You watch over me always, protecting and guiding me. Tonight, I thank you. Your blood runs in my veins. Your spirit is in my heart. Your memories are in my soul. I remember all of you. You are dead but never forgotten. You live on in me, and within those who are yet to come. Samhain is also a good night to contemplate our own mortality. It is a good time to look at wrapping up the old and preparing for the new in our lives. If anything is left undone, this is the perfect time to resolve it. Once unfinished matters are cleared away, we can begin looking toward the next year, free from restraints and encumbrances. We can then look to see how any unwanted aspects from our personal year can be released and transformed. We can also look into the crystal ball of our mind’s eye and get a glimpse of what is to come in the year ahead. This is, indeed, a most magical time! Pears are the super fruit of Asia and around the world. They have been called the “gift of the gods” and were presented as a delicacy at some points in history. They are rich in Vitamins C and K, and hold powerful nutrients and minerals. They are known to have healing attributes for many ailments, especially coughs, colds and flus. 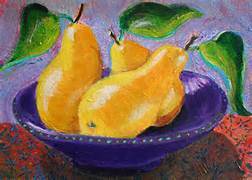 According to Cheryl Murphy, “Pears add approximately 3 grams of water, non-soluble fiber to the diet. The fiber binds to unwanted toxins and bacterium in the colon and leads the way out of the body, reducing the onset of heart disease, cancer and Type-2 Diabetes. 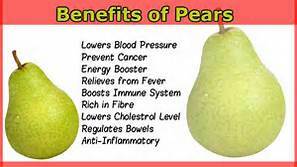 Pears reduce cholesterol due to the fiber involved. “The pear works as an anti-inflammatory in the respiratory system. The pear helps maintain moisture in the lungs. Pears, due to their sour properties, help eliminate phlegm. In Traditional Chinese Medicine, when the lungs take in dry, pathogenic factors, then the intestines, plus other areas of the body, get involved. The pear is a cooling food that prevents lung damage and adds moisture to the lungs and prevents bacteria. Here are some easy recipes that you can enjoy this season and boost your immune system in the process! Pears hold precious cooling compounds to energize the lungs, keeping the area moist and free of bacteria. Boil the pears and honey in water for about 30 minutes. Drink while hot. Pear Sauce is easy to make and is delicious served plain. It is also great as a topping for pancakes, waffles, and toast (for a real treat, spread the toast with almond butter under the pear sauce and top with blueberries). Try spooning it over ice cream for desert. 1. Combine pears, water, lemon juice, cinnamon, ginger, and vanilla in a large saucepan. Bring to a boil over high heat. 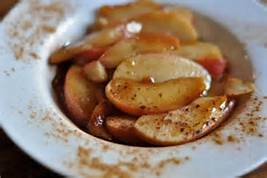 Reduce heat to medium-low and simmer, stirring occasionally, until pears have softened, about 25-30 minutes. 2. Use an immersion blender to process the pear sauce until smooth. If you prefer a chunky pear sauce, mash with a potato masher. 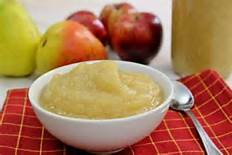 You can also transfer the cooked pear mixture to a food processor or blender to process, just make sure the pear sauce has cooled down. 3. Once the pear sauce has cooled down, pour into glass or plastic containers. Cover and store in the refrigerator. The pear sauce will keep in the fridge for one week. You can also freeze or can the pear sauce. Here’s one from Chef Nick Stellino that’s a little more elegant, but still uncomplicated. Cut a small slice from the bottom of each of the pears so they will stand up straight in the saucepan without falling over. In a saucepan large enough to hold the pears, bring the wine and sugar to a boil over medium-high heat, stirring well. Once the mixture reaches a boil, cook for 3 more minutes. Take the pan off the heat and gently place the pears, standing up, into the saucepan, being careful not to splash yourself with the hot wine-and-sugar mixture. 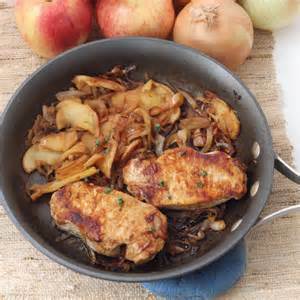 Place the pan back on the stove and cook the pears over medium-low heat—15 to 20 minutes for a firm texture or 30 to 40 minutes for a softer texture—braising the pears with the wine-and-sugar mixture every 5 minutes. Turn off the heat and let the pears stand in the wine sauce until they reach room temperature. 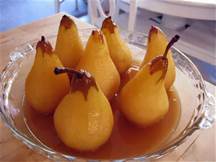 Use a slotted spoon to transfer each of the pears to a dessert dish, and top with plenty of the wine sauce. CHEF’S NOTE: For an elegant presentation, serve the pears with sweet whipped cream or whipped mascarpone cheese, and top with toasted chopped pistachio nuts. Autumn has arrived with its promise of beauty. Oh, those amazing colorful leaves against exquisitely clear blue skies! But the change of seasons also comes with health challenges. Changes in the weather cause some measure of difficulty for our immune systems. Plus, the kids are back in school. That means exposure to germs and illness. And we become more vulnerable to catching a cold or flu. What can we do to protect ourselves and our families? One thing that makes a lot of sense is to eat foods and herbs that have natural antibiotic qualities. We know that people have an increased resistance to pharmaceutical antibiotics these days. There is a wise response to this fact. And it is such an easy course of action to take. 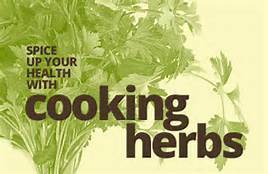 All we have to do is use foods and herbs as medicines when we cook. They can act as remedies when we are sick. 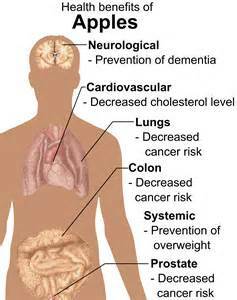 And, more importantly, they promote the prevention of our most common health conditions. 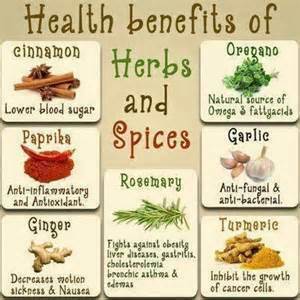 Many herbs have antibiotic properties and other health benefits. 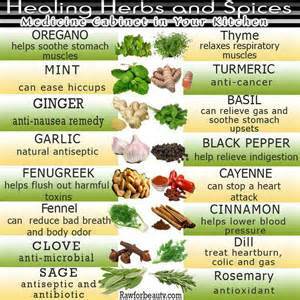 Below, you will find a list of herbs that you can use on a daily or weekly basis. They taste good. They support and strengthen your immune function. You will enjoy both the added flavor and better health. So go ahead and cook with them this Fall! Here are some excellent herbs to use, in no special order. BON APPETIT! For a couple of good seasonal recipes, one sweet and one savory, click here. “An apple a day keeps the doctor away.” We all know this saying from childhood. So what exactly are those benefits? Research has come up with quite a few interesting facts. What they have discovered just may inspire you to eat more apples! An apple is high in fiber, pectin, flavonoids and antioxidants, which fight disease. Fiber regulates the water balance in your colon. This balance prevents constipation and diarrhea. Fiber pulls water out to keep things moving when you’re backed up. And it absorbs excess water from your stool when you need to slow your bowels down. Added benefits are prevention of hemorrhoids and neutralization of irritable bowel syndrome (IBS). The pectin in an apple lowers LDL cholesterol (the “bad” one). Eating 2 apples a day could lower your cholesterol by as much as 16%. Many cancers are helped by apples. In a study of 10,000 people, those who ate the most apples had a 50% lower risk of developing lung cancer. A study on rats at Cornell University showed that rats that ate an apple a day reduced their risk of breast cancer by 17%. Three apples a day reduced their risk by 39%. And six apples a day reduced it by 44%. One study showed that rats fed an extract from apple skins had a 43% lower risk of colon cancer. Other research shows that the pectin in apples reduces the risk of colon cancer and helps maintain a healthy digestive tract. Still other studies found that rats fed an extract from apple skins showed a 57% reduced risk of liver cancer. Weight loss – A Brazilian study showed that women who ate three apples or pears a day lost more weight while dieting than those who did not eat fruit while dieting. SO! . . . ADD AN APPLE A DAY TO YOUR DIET!!! Here are a couple of delicious recipes for you to try. Bon Appetit! Place cubed apples in saucepan in approximately 1 inch water. Bring to boil. Reduce heat and add all other ingredients except pine nuts. Remove from heat. Toss in pine nuts. May be served hot, warm or chilled. ~ Try a variety of apples, like Pink Lady, Gala, Fuji, Granny Smith, cooked together etc. 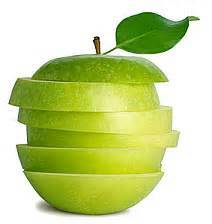 ~ To me, it tastes better when you don’t peel the apples. ~ Honey, instead of sugar, is a delicious alternative. ~ Include cloves and allspice with the spices. Remove them before serving. 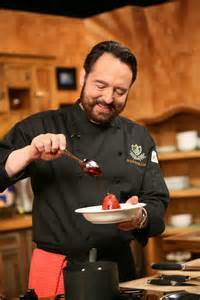 ~ This dish makes a tasty desert – either alone, over ice cream, or with certain cakes (like sponge, pound, lemon, etc.). ~ I love it on toast for breakfast – sometimes with mascarpone or cream cheese, sometimes with banana slices, but mostly just alone. It’s wonderful mixed into a bowl of oatmeal, too. I’m sure you’ll find your own new favorite ways to serve it to friends and family. This is a quick savory-sweet accompaniment for your favorite meat. If you are in the mood for a bit of a twist, use Bermuda onions and Idared apples for an attractive pink presentation. Heat the butter in large skillet. Add the onions and apples. Saute over medium heat until tender. Season with marjoram, salt and pepper. Stir in the lemon juice. PORK CHOPS, AND OTHER MEATS.